Notes: Nationally scarce (Nb) in fens, water meadows and marshes, south and east of a line from the Wash to the Severn. In Hampshire and on the Isle of Wight although always very local, in the past this species was not uncommon, especially in the valleys of the Avon and Stour. 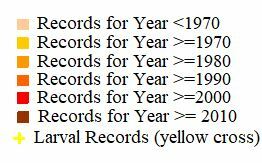 However, since 1987, has only been recorded twice, at West Park in June 2002 and Blashford Lakes in August 2007. Wingspan 38-46 mm. 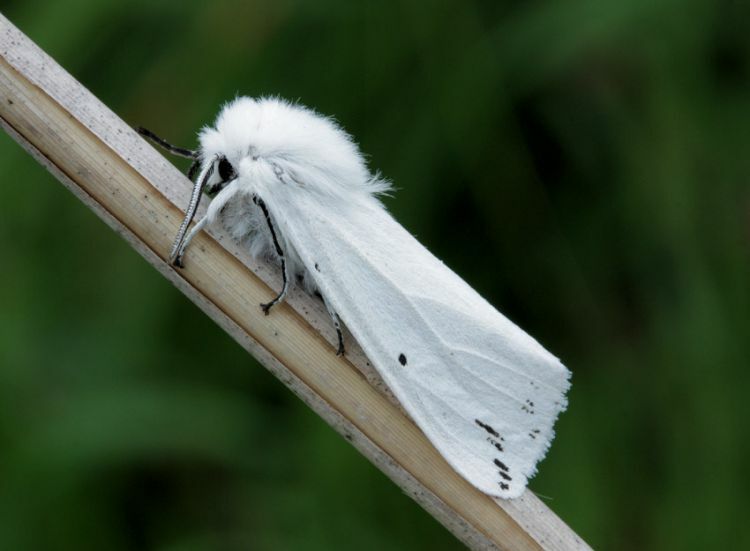 May be confused with very plain forms of White Ermine S. lubricipeda, but Water Ermine has the wings pure white, with very few black dots on the forewing and the basal segment of the labial palpus yellow (MBGBI Vol 9). 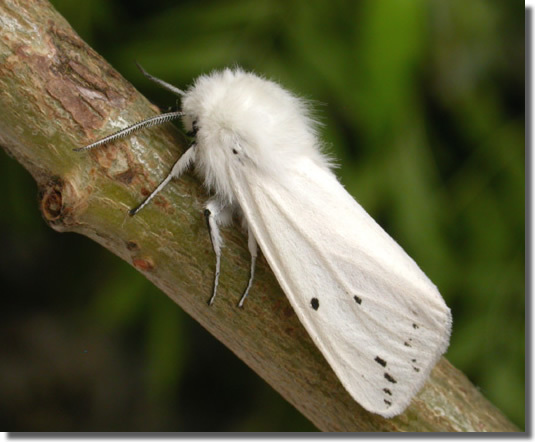 Also superficially similar to Muslin Moth Diaphora mendica, but Water Ermine has abdomen yellow. Larva feeds on Water Mint, Water Dock, Yellow Loosestrife and Yellow Iris, over-wintering as a pupa.